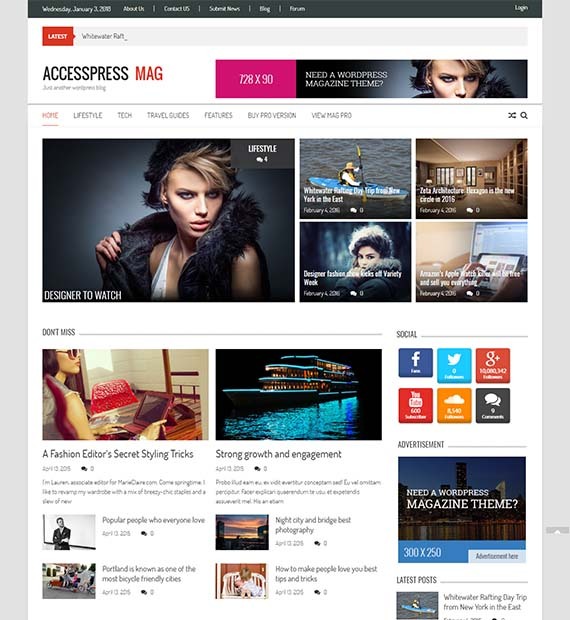 A clean and modern outlook on the magazine based WordPress free theme, Accesspress Mag is an awesome theme by Access Keys. Because the theme is versatile and flexible, you can use this theme for personal, travel, portfolio, editorial and is very suitable for newspaper and magazine based websites and blogs. The cutting edge and feature packed theme is also fully responsive making your site look appealing to your users. The professional touch to the layout of the theme adds the extra touch.